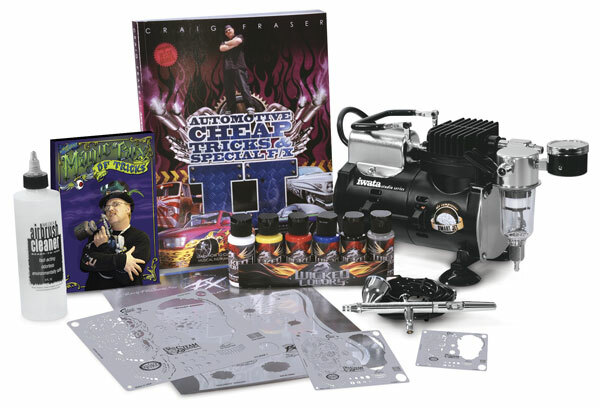 Personally assembled by auto detail wizard Craig Fraser, the Magic Box of Tricks Set from Iwata contains everything you need to start making your own airbrush magic. ® Createx is a registered trademark. ™ Wicked is a trademark. 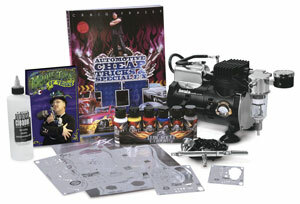 ® Artool and Freehand are registered trademarks. ™ Kustom FX, Bullet-Ridden, SteamDriven, and Steam Skull are trademarks.